The traditional definition of customer loyalty is a financial one– your most loyal customers are clearly those who keep returning to do business with you. 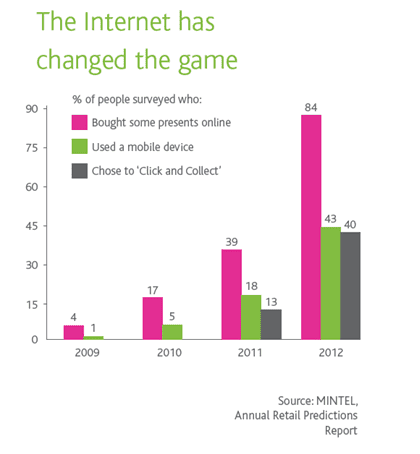 But loyalty in the digital world has much wider implications. 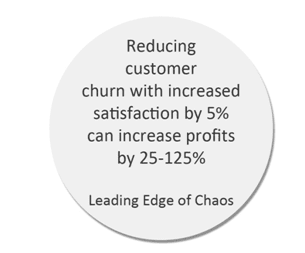 For some organizations it can be the bald metric of how frequently their customers do business with them. For others, such as online retailers, it is also a measure of how often customers share favourable reviews or feedback on the organization or brand. At the heart of any loyalty-driving campaign lies the need to raise customer satisfaction levels. Step 1. Gain senior management and cross-business commitment to raising customer satisfaction across the enterprise. Focus on the channel that lets you build intimacy. One of the most effective uses of email communications is to build customer intimacy, trust and satisfaction. Using the intimacy and personalisation of email marketing to leverage customer satisfaction into customer advocacy should be a key strategic focus in your loyalty building strategy. Whether measured through standard metrics or analysis of customer reviews and social media sentiment, advocacy is the Holy Grail of online relationships. 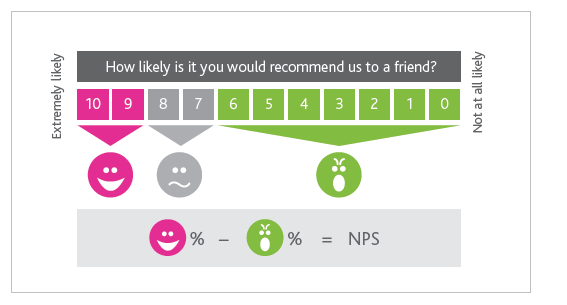 Industry standard Net Promoter Score calculates the overall percentage of customers who would recommend, or promote, your business. As the graphic shows, the best way to gauge the efficiency of a company’s growth engine is to take the percentage of customers who are promoters and subtract the percentage who are detractors. This equation is how we calculate a Net Promoter Score for a company. To effectively talk with, engage and nurture existing and potential loyal customers, you need to have a crystal clear picture of what a loyal customer of your business looks like. Not just in demographic terms, but in terms of the rich vein of information that can be mined about their purchasing patterns, engagement with email marketing and social media, their browsing patterns and propensities, and their preferences and choices online. When you are using email to build loyalty it’s important to remember that the ultimate goal is to turn customers into advocates, and the best way to achieve this is by giving them a high-quality experience; across your products, your service and your messaging. Exclusive previews of new product ranges, lines, styles, features, etc. Email loyalty building is a journey, not a destination - and the further along that journey your organization goes, the greater your database of contacts will become and the greater your requirements to send the right message to the right person at the right time. This is the point at which you’re going to need to let the technology do the work for you by introducing email marketing automation. Email lifecycle marketing, from a welcome programme through a longer, personalised lifecycle programme, offers a hugely effective approach. 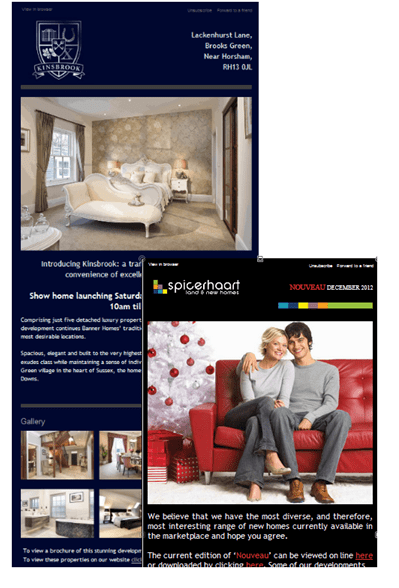 dotMailer email marketing automation client Spicerhaart fully automate their Estate Agency lifecycle programmes, from the point that a property hunter registers, through to the point of offer, property purchase and beyond. I highlighted towards the start of this blog post how the rise of smart phones and mobile browsing is helping transform users’ relationships with targeted relevant email marketing. 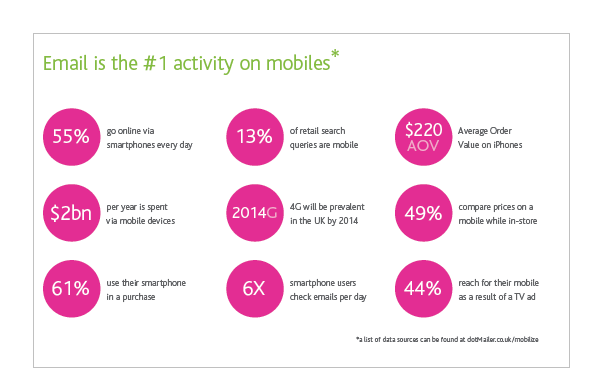 In the last year m-commerce has shown a startling growth rate of over 68%, with different surveys all pointing to the fact that the second screen - smart phones and tablets – is set to become the primary method of digital interaction between consumers, brands and each other. It’s every marketer’s ambition to convert happy customers into advocates, and email provides a powerful tool for building referral programs and social sharing, from both marketers’ and customers’ perspectives. 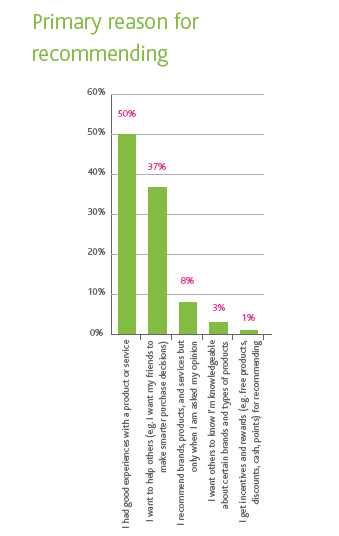 Online, ‘word-of-mouth marketing’ is one of the most effective tools in the marketer’s box. Nielsen reports that 81% of online consumers’ purchase decisions are influenced by their friends’ social media posts, and email is a powerful trigger to drive happy customers to make referrals on your behalf. So understand what drives your customers to refer your organisation, and make that sharing and referral process as easy and positive as possible for them. Thanks to Skip Fidura for sharing their advice and opinions in this post. Skip Fidura is Client Services Director at DotMailer. You can follow him on Twitter or connect on LinkedIn. dotMailer have published a 40 page Strategy Guide on Building Customer Loyalty Through Email Marketing. You can download a copy free of charge here. dotMailer are a Content Partner with Smart Insights.